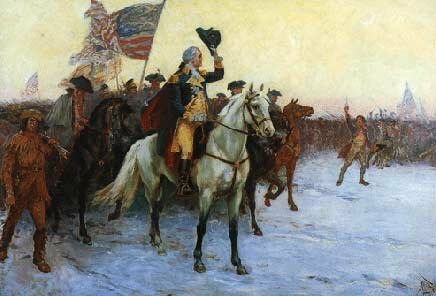 In the National Tribune, 1880, an article appeared giving an account of the "Vision of Washington" at Valley Forge. The account was told by a gentleman named Anthony Sherman, who supposedly was at Valley Forghe during the winter of 1777-78. The story has been published several times.